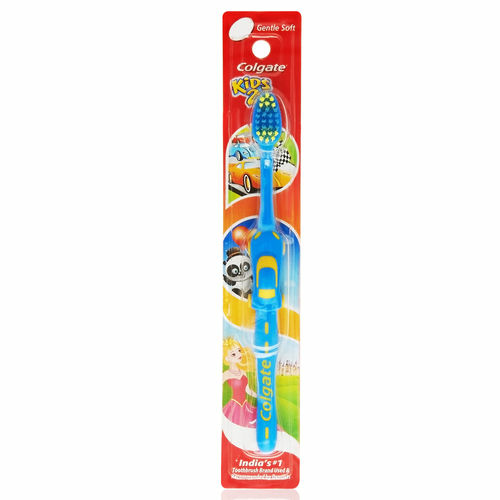 Kickstart your little one's brushing habit with this super cute toothbrush! Especially crafted for kids of ages 2 years and above, Colgate Kids 2+ toothbrush is available in the designs of three cartoon characters making brushing a fun affair. The round head and extra soft bristles of this kid's brush work gently on your baby's developing teeth and molars. The multi-height bristles fit comfortably inside small mouth and can move around easily.